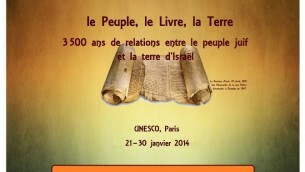 Days before the United Nations Educational, Scientific and Cultural Organization was to launch a landmark exhibit at its Paris headquarters on “The 3,500 Year Relationship of the Jewish People and the Land of Israel,” curated together with the Simon Wiesenthal Center, the world body reneged. 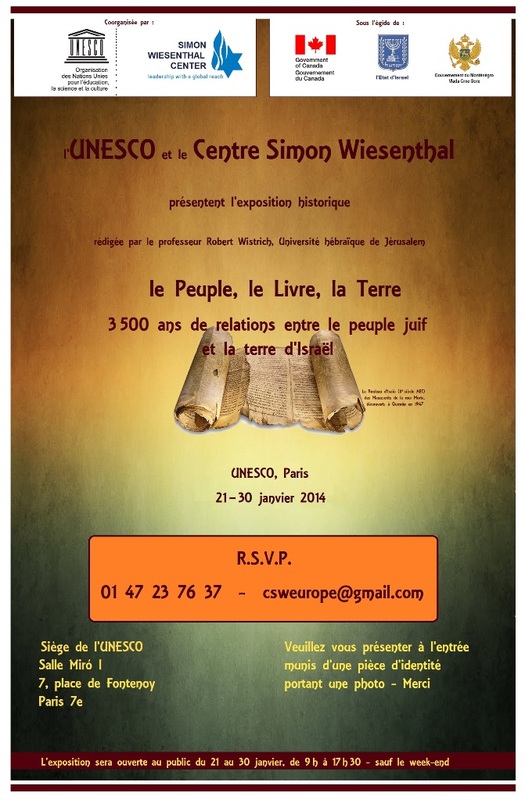 The surprise here isn’t that UNESCO chief Irina Bokova surrendered to the Arab League’s protest, rudely cancelling an event for which invitations were already sent out, and which involved painstaking work over two years by Hebrew University scholar Robert Wistrich. 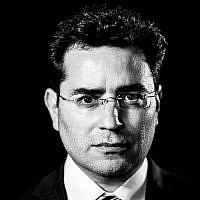 For anyone who knows anything about UNESCO — which in November 2011 became the first UN body to deem “Palestine” a state — surrender to Arab pressure was entirely predictable. In 2009, the UNESCO Executive Board adopted eight resolutions against the Jewish state at its 181st session and 182nd session, and then another two resolutions against Israel at the 35th session of the General Conference. In 2010, the UNESCO Executive Board adopted 10 decisions against Israel at its 184th session and 185th session. In 2011, the UNESCO Executive Board again adopted 10 decisions against Israel at its 186th session and 187th session, and another two resolutions against Israel at the 36th session of the General Conference. Astonishingly, during this same time period, an examination of all UNESCO Executive Board decisions and UNESCO General Conference resolutions — just click on the links above — shows that not a single other country was censured even once. Exceptionally, in 2012, UNESCO condemned Syria for its bloody crackdown, in one resolution. Yet this took place only after Western countries were pressured by UN Watch’s protest against UNESCO’s shameful election of Syria to its committee that judges human rights petitions, as well as to the committee that oversees non-governmental organizations. This condemnation of Syria, however, was a one-off, and it failed to reappear in 2013. Instead, Israel returned once again to being the only country singled out by UNESCO. Consider the audacity: Bokova said her cancellation of Monday’s pro-Israel event was justified by UNESCO’s concern not to endanger the fragile Israeli-Palestinian peace negotiations — yet somehow this noble peace principle never stopped UNESCO from targeting Israel incessantly. Consider the tragedy: Founded in 1945 with the express purpose of combating the doctrine of the inequality of men and races, UNESCO today has sadly become a serial perpetrator of inequality.